Very Rev. Protopresbyter Peter Paproski has served St. John's Parish since 1993. 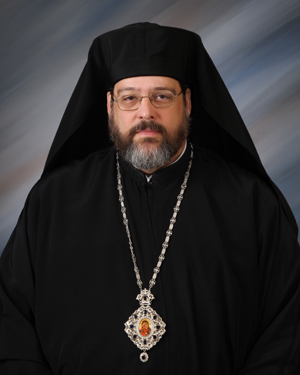 He was ordained as deacon in June of 1993 and as priest in November 1993 by His Eminence, Metropolitan Nicholas of the American Carpatho-Russian Orthodox Diocese of the U.S.A. He was elevated to the rank of Protopresbyter in March of 2009. In addition to serving as Pastor of St. John's Fr. Peter serves as Director of the Diocesan Apostolate For Information Technology and Communications; National Senior ACRY Youth Organization Spiritual Advisor; and as member of the Diocesan Youth Apostolate and Religious Education Commission. Fr. Peter also is involved with College Campus Ministry, presently serving as the Northeastern Regional Chaplain of Orthodox Christian Fellowship (OCF). Fr. Peter and Pani Carol are the parents of two sons, Daniel and Timothy.